Aikido is a traditional Japanese form of Budo, a way of study that includes both physical and mental training. 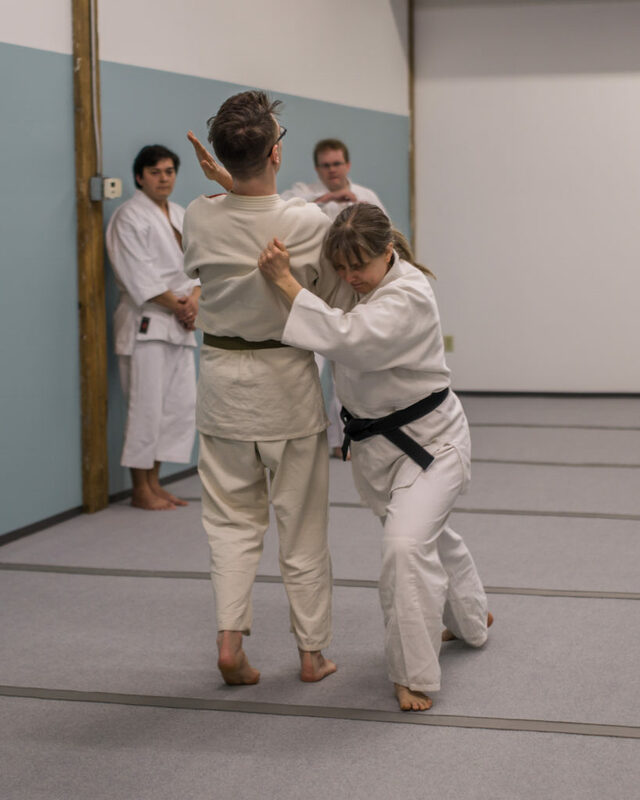 Aikido is often translated as “the way of harmony with nature or universal energy.” At Aikido Yoshokai of Minnesota, we teach physical techniques as well as philosophy related to Aikido that often relates to how we can create harmony in our daily relationships and communities. We practice and teach Yoshokai Aikido, developed by Takashi Kushida-sensei. Kushida-sensei’s aikido was developed through decades of hard training and teaching experience. Yoshokai Aikido focuses on the underlying principle behind Aikido and the importance of relationship between the person doing the technique (shite) and the person receiving the technique (uke). In our adult and youth classes, you will learn pins, controls, throws, and safe falling. You will practice techniques with other students in a supportive, non-competitive atmosphere. Most importantly, you will be practicing with teachers and students whose goal is to practice harmony with everyone. 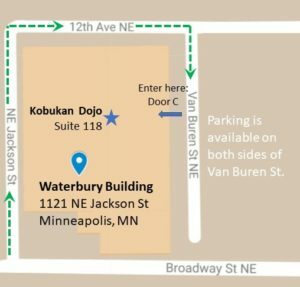 We are located in the Waterbury building in NE Minneapolis, Suite 118. The location is accessible and has free, off-street parking. While we do not have changing rooms in the dojo, there are restrooms in the building with plenty of space to change. From Broadway Street, turn north on Jackson Street and then drive around the building to Van Buren Street. Parking is available on both sides of Van Buren Street. Enter the building through door C, we are through the third door on your left. Request to be added to the Kobukan Google Group for updates on events. There are generally 3-6 updates per year, and you may unsubscribe at any time.